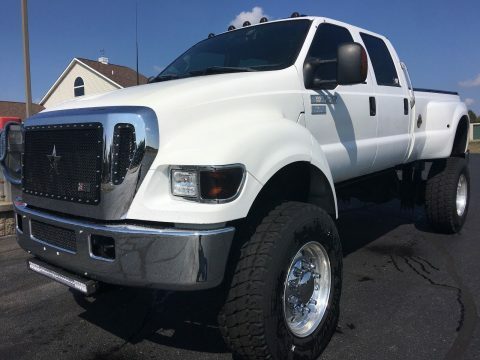 The truck only has 45k miles so everything that is still factory is in very good condition and everything else has barely been used since completion. 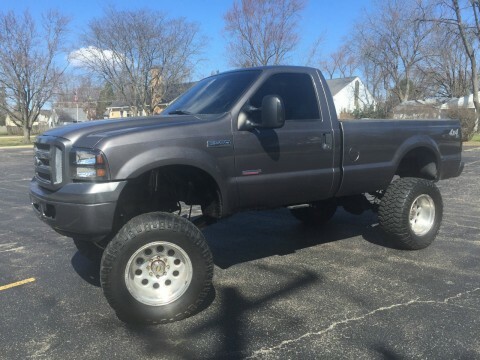 The truck drives very nice now. 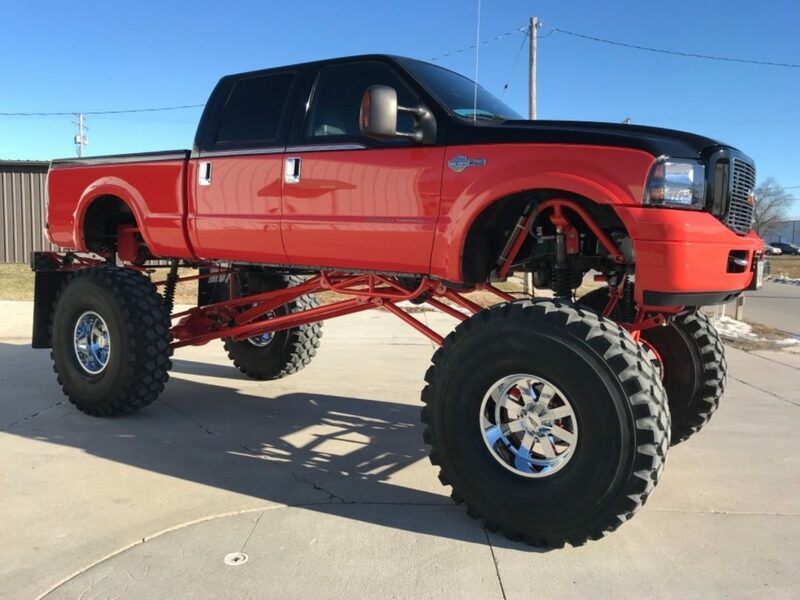 It is a smooth ride for being so huge and would probably ride even nicer with 54” Boggers since the tires on it are very heavy duty. 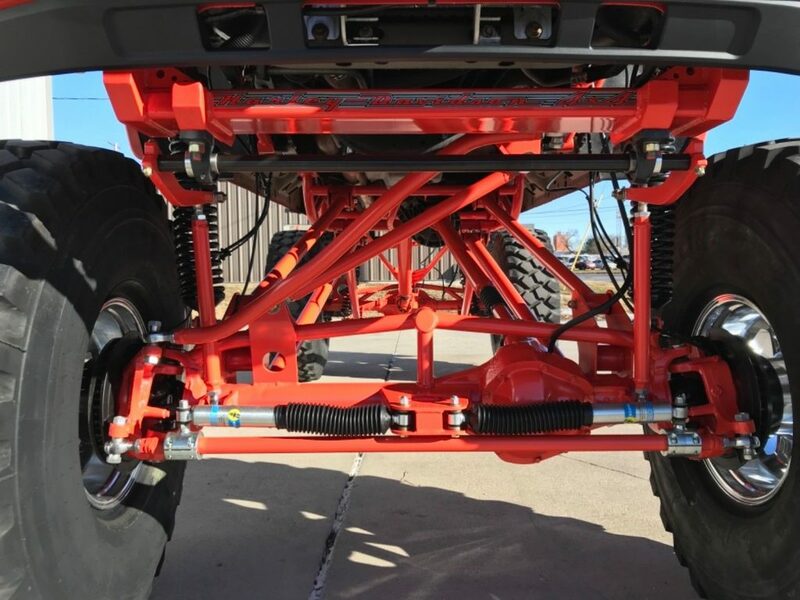 It rides smoother than many leaf sprung lifts this size as leaf springs aren’t designed to look like a U. 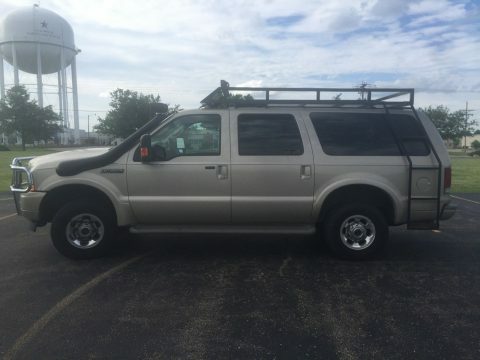 Paint is in nice condition with absolutely no rust. 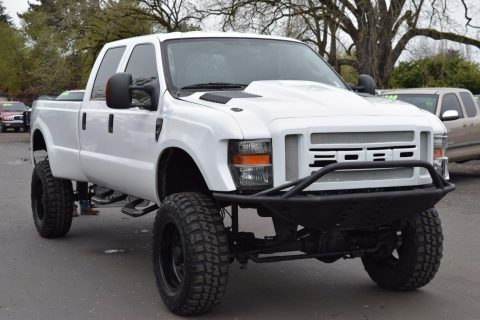 All new 05-07 front end. 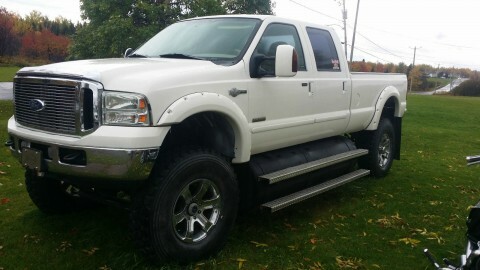 Line X in bed. 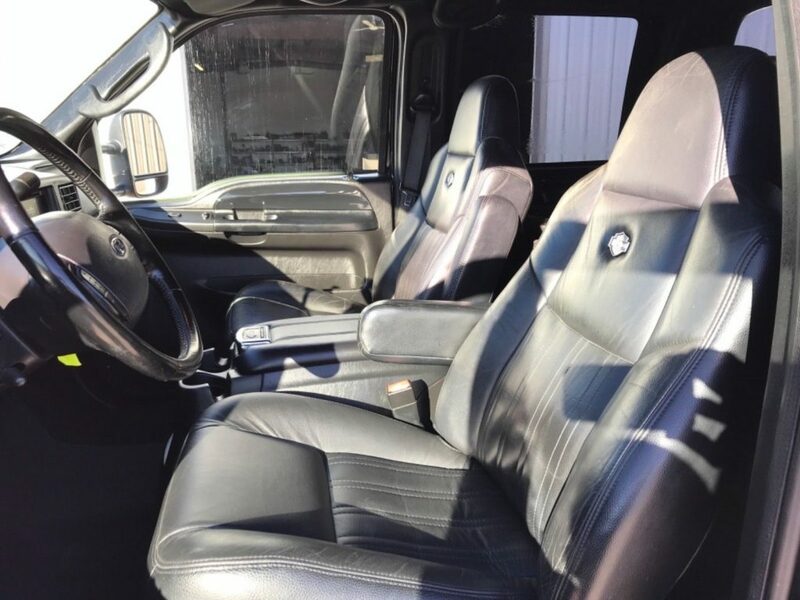 Interior is nice, perfectly clean without a single stain or tear in leather. 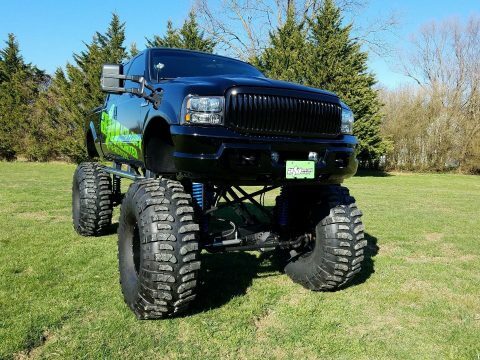 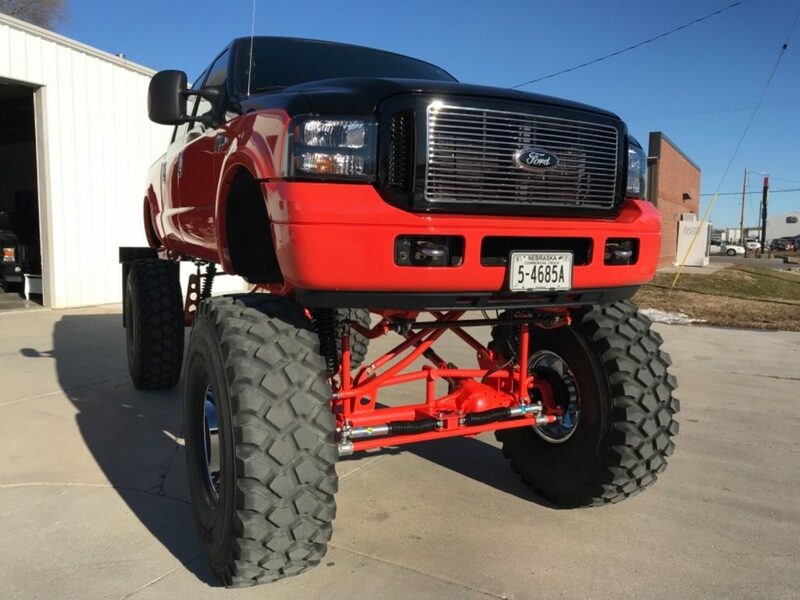 It has 28” of lift and 53” Michelin tires on Moto Metal Rims. 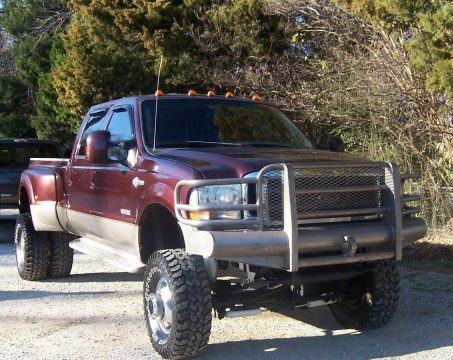 Heavy duty sway bars and traction bars with heim ends and also heim ends on steering pieces. 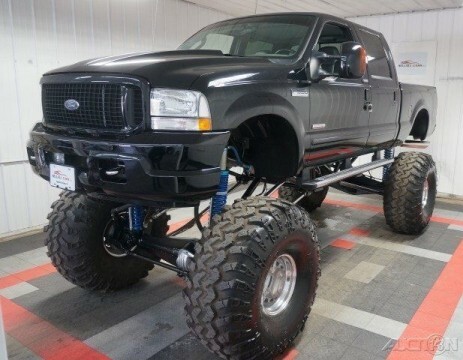 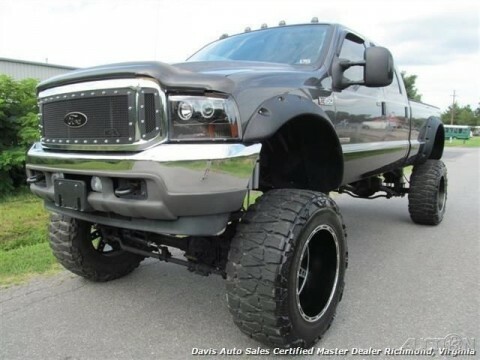 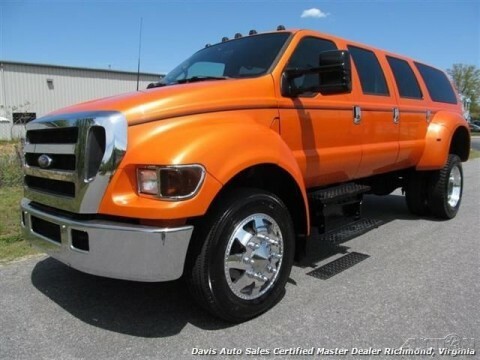 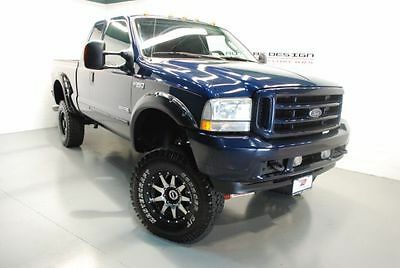 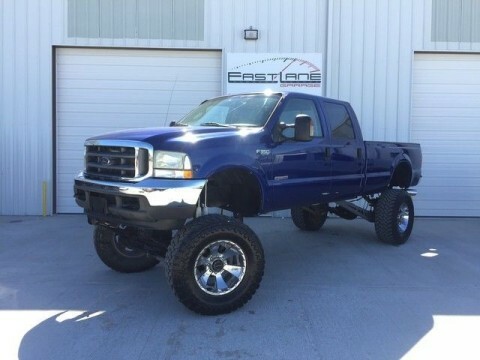 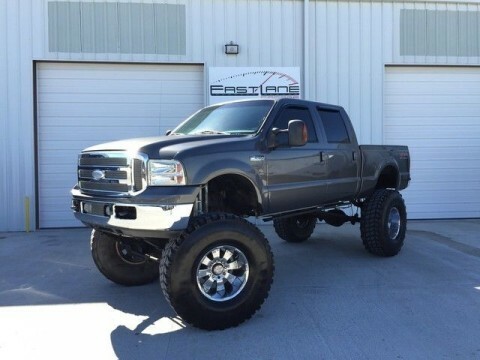 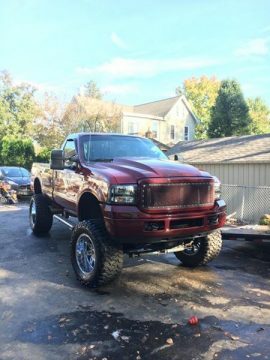 2004 Ford F 250 Lariat Lifted Bulletproof Monster Truck!